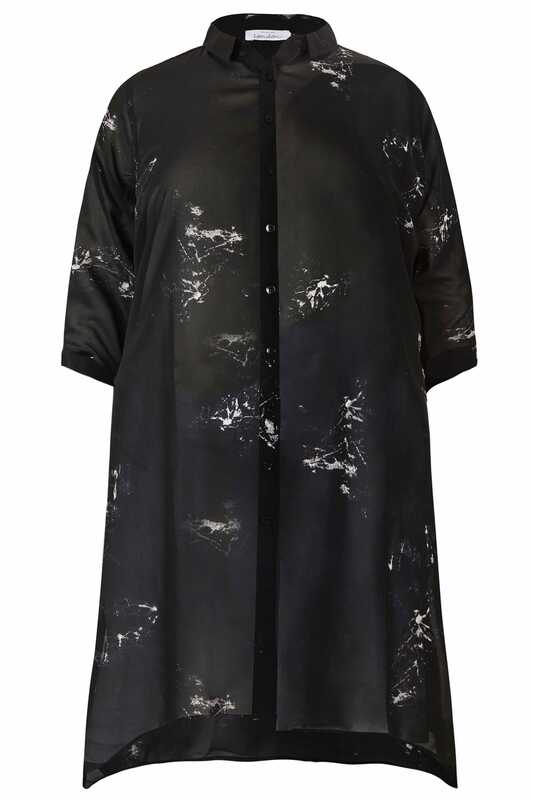 Front length from (approx): 107cm/42.1"
Back length from (approx): 104cm/40.9"
Update your desk-to-dinner wardrobe with this chic longline shirt from Yours London. Made from a sheer chiffon fabric, it features long sleeves with button cuffs and side splits for easy movement. Style with dark denim and a pair of high sandals to complete the look. 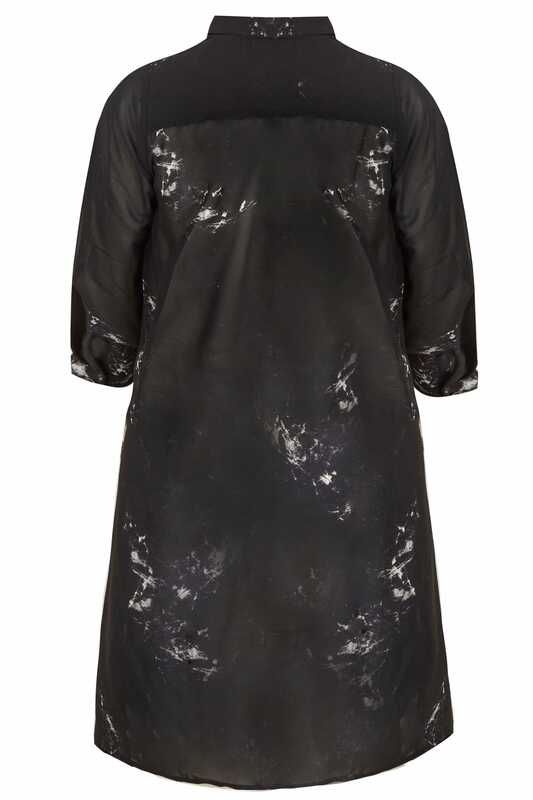 Flattering with a hanky hem, it is elevated with a marble-effect print.